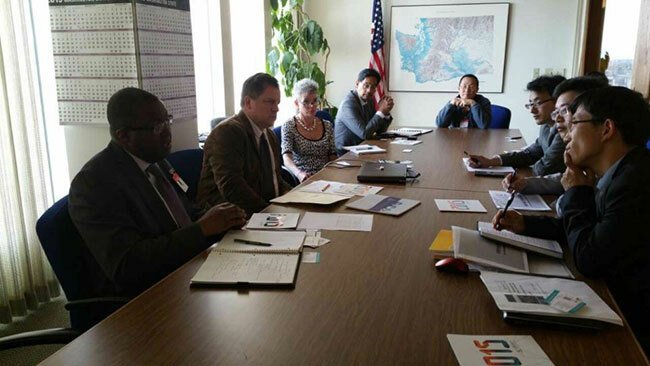 In the afternoon of May 4th, CMRA delegation visited Washington State Department of Commerce located in Seattle and had a meeting with Mr. Andrew Crowder, International Trade Specialist, Ms Susan St. Germain, Commercial Development Manager, Mr Darryl Smith, the previous Deputy Mayor of Seattle and Mr. David Della, the previous councilor. Mr Andrew Crowder introduced the advantages of Washington State in geography, education, investment, policy, talent, transportation as well as the development of trade and investment with China, and expects to push the cooperation in recycling nonferrous metals industry between Washington State and China. Mr Xiejiahong, the leader of CMRA delegation expresses, on behalf of CMRA, full thanks to the consideration and arrangement from Washington State Department of Commerce to the visit of CMRA delegation. 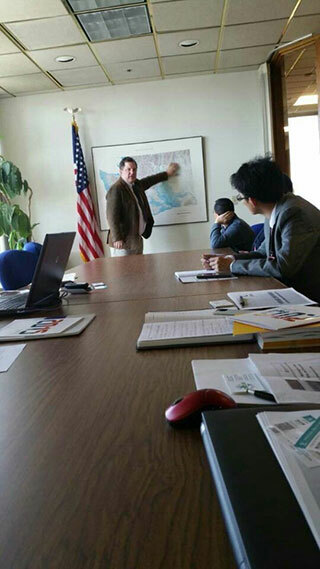 He introduced the basic information of the nonferrous metals recycling industry and market requirements and said, Mr Wang Jiwei, the Secretary General of CMRA, pay much attention to the visit of CMRA delegation to US and hope to push the exchange and cooperation, learn advanced technology, equipment and management from US, push the technical innovation, transformation and upgrading. 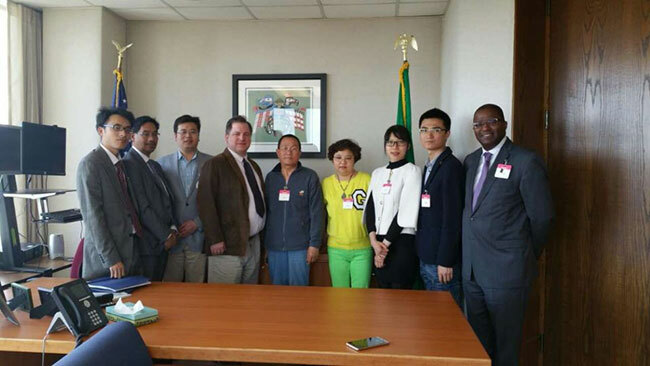 CMRA expects more and deep cooperation with Washington State Department of Commerce. 2015 CMRA Annual Convention is going to be held in Shangri-La Hotel Ningbo of China during Nov. 7-11 and the participation of Washington State Department of Commerce will be highly welcome!